Tired of long waiting times for a hearing test? Book your free hearing test with us and we will aim to see you within a week. The world is full of sounds worth hearing, make sure you don't miss a thing - book your hearing test today. Book your free hearing test either at home or at one of our local branches. We will call you back to arrange a time and place which is convenient for you. Protecting Your Privacy: Your privacy is important to us. By submitting this form you consent to us contacting you by Email, Post or Telephone. We will not share your information with any 3rd parties and we will only contact you about booking a free hearing test. For over 50s it's recommended you have a hearing test every year, this is because over 40% of people over 50 have hearing loss*. If you think you have a degree of hearing loss its important to get it checked as soon as possible because the earlier it’s treated the greater your chances of preventing further loss are. Hearing loss has also been linked to depression and it's important to treat it for our overall health and well-being. Plus, in most cases it's your friends and family who suffer the most as they are repeating themselves and listing to a loud television – do it for them! 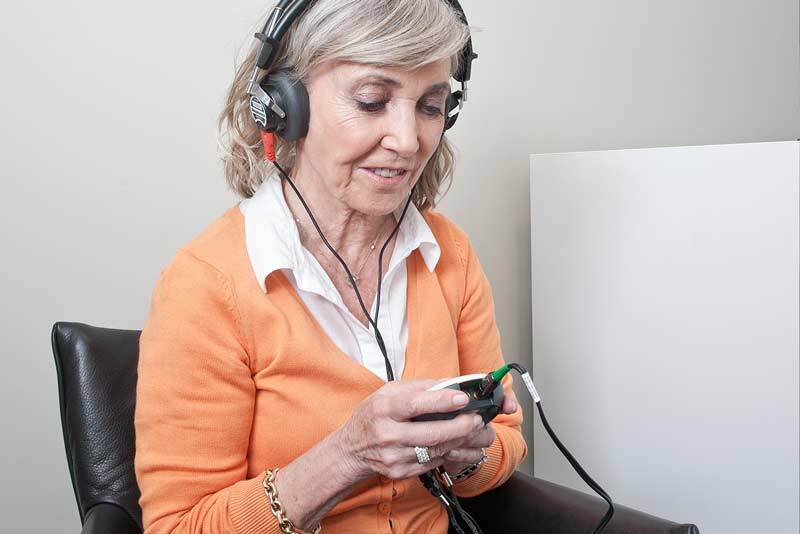 A hearing test is a non-painful, non-intrusive assessment that is carried out by a qualified Hearing Aid Audiologist. It typically lasts for an hour and can take place in one of our shops, a clinic or even in your own home. The Hearing Aid Audiologist will want to know about you and your hearing so will ask you some questions to build a picture of your history. Using an Otoscope the Audiologist will look into your ear to examine it for any signs of infection, damage to the ear drum and any abnormalities. To understand how you hear speech without being able to lip read or how you hear in background noise, the Audiologist will ask you to repeat a list of words back to them. Finally, you will listen to different sound frequencies through headphones and the results will be plotted onto an Audiogram. After all this, the Audiologist will be able to explain the hearing loss you are experiencing, if any, and what solutions are available to you.